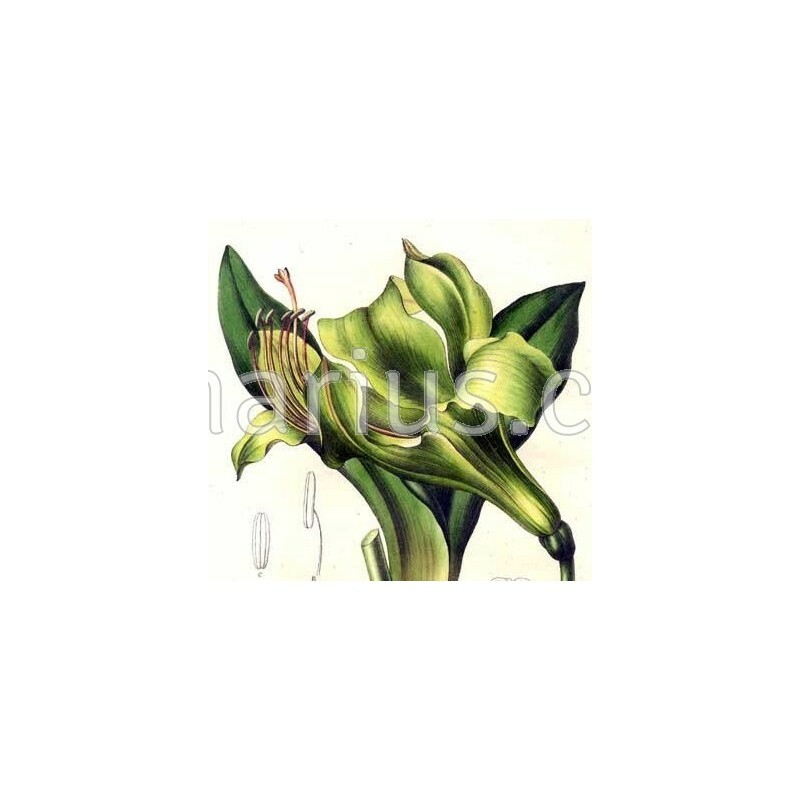 This Brazilian bulb produces surprising green-red flowers and it typically grows as an epyphitic plant: up on tree branches with ferns, orchids and bromeliads. 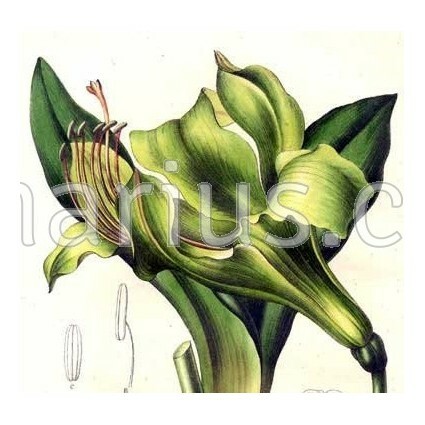 Hippeastrum calyptratum will also thrive in pots, under normal Hippeastrum conditions as long as the soil has very good drainage. Our plants correspond to the location known as Macae da Cima, where very attractive clones grow. Our plant is reproduced by crossing plants descending from the location known as Macae da Cima, where very attractive clones grow. 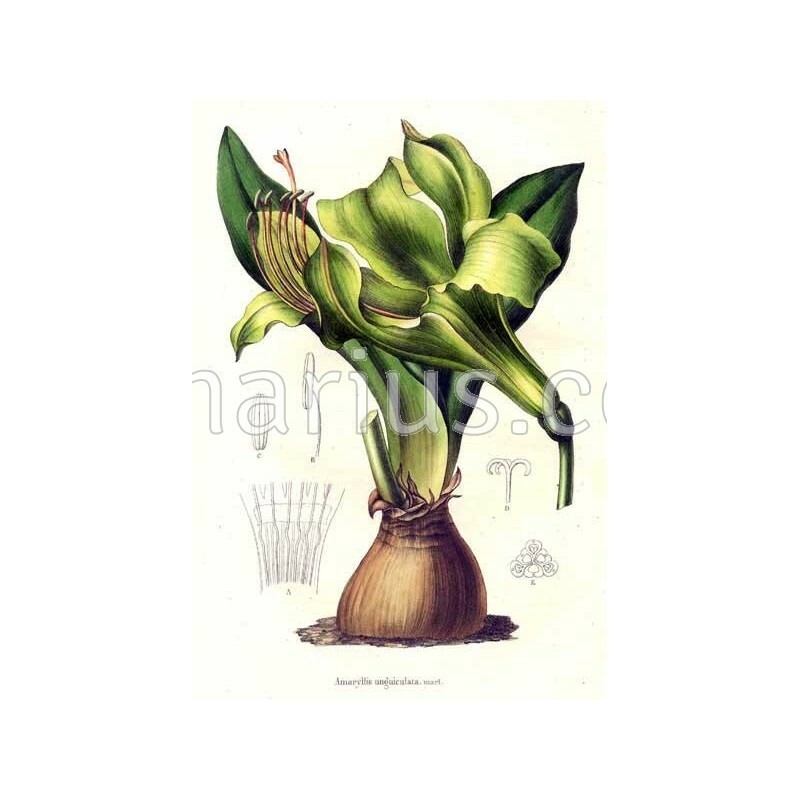 We ship one 3 years old bulb, grown from seed.